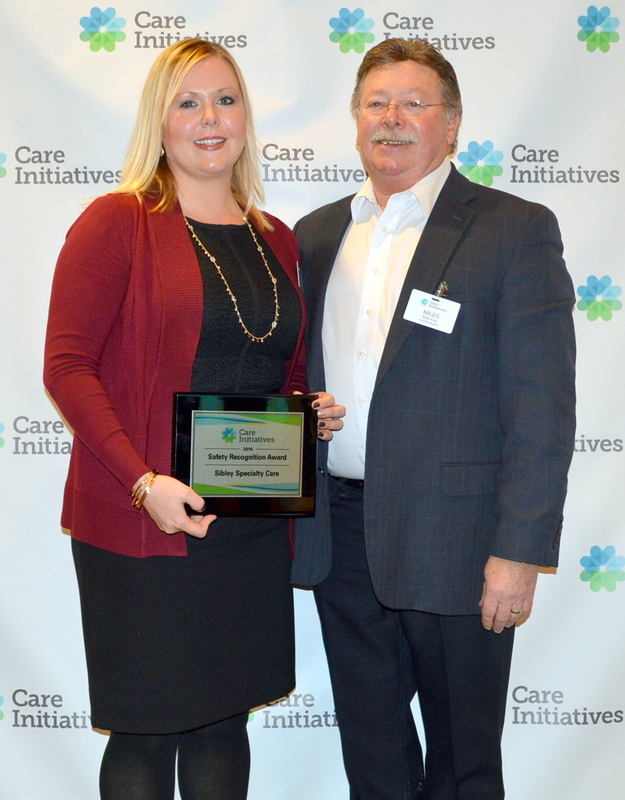 Sibley Specialty Care received the Care Initiatives “Safety Award” at Care Initiatives’ annual award brunch Friday, Dec. 16 in West Des Moines. The award is given to a Care Initiatives location that has had no employee injuries and filed completed safety meeting minutes for the year. Sibley Specialty Care is one of 50 locations owned and operated by West Des Moines-based Care Initiatives providing skilled nursing, rehabilitation, Alzheimer’s/dementia, assisted living and hospice care throughout Iowa. For more information about Care Initiatives or Sibley Specialty Care, visit careinitiatives.org or call 712.754.3629.